Since Jurassic World is the fastest movie to reach 1 billion dollars in the box office in film History, do you think Universal Creative will update the ride in Hollywood and the entire theme land at Islands of Adventure in Orlando? Could work like this, Update the animatronics and scenes in the river adventure to the new movie. Include Indominus Rex and the 4 raptors, replace the falling jeep with a Falling Gyrosphere, have the finale be instead of T-Rex coming out of the waterfall, having Indominus on your right and Rex on your left "Fight" each other as you drop beneath both of them. As for Islands of Adventure, retheme Jurassic Park into Jurassic World and clean most of the Jungles. Rename or rebuild the Discovery Center into the one in the movie and update the activities in the building. New facade design in the Pteranadon Attraction and an even more immersive raptor encounter and kinda recreate the scene with Chris Pratt and the 4 raptors. What do you guys think Universal should do? Keep a watch with the IP. the box office hauls only going to get larger and if it keeps going higher, its a safe-bet on some action coming in the future. Or you have to run through wood in heels, but the real challenge is that although you have a high-powered job and because you're a woman you're expected to drop everything to give your undivided attention to two distant nephews the day they arrive, even though you've arranged a private VIP tour for them. Howard is the worst female character in a Spielberg-associated movie since Kate Capshaw was an unfunny, annoying bimbo in the second Indy movie. This new J. Park is a HUGE hit and Universal actually tries to build ambitious things, so I want pterodactyl drones gliding overhead and some acrobatic actors or much better AA's as raptors. This being Universal, and Disney being Disney, I wouldn't be surprised to see major J. Park upgrades (along with a phase 2 Diagon Alley in U. Hollywood) all open before Disney opens a hopefully magnificent Star Wars land and attraction. Would be fun if they updated the ride with better AAs. JP is a water ride that I'll actually ride, because I don't get that wet on it and it's really cool. My hubby wanted to go again immediately when we got off- he never does that. So yeah, dinosaurs. And an upgrade could be fun. I am not impressed with the ride at IOA. It's ok. The new King King attraction is being added to the Jurassic Park section while not really apart of the franchise makes an awesome addition to the Jurassic section. 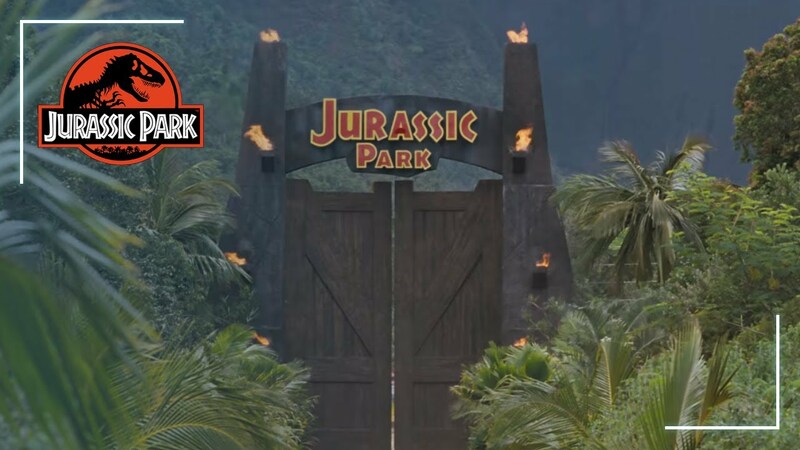 We posted an episode not that long ago reviewing Jurassic World, but also comparing/contrasting the two North American "Jurassic Park" rides. It isn't part of Jurassic Park anymore. It wouldn't make any sense. The jeep sliding down the concrete wall is a recreation of a specific scene in the original JP. You can see the scene briefly here at around 1:51. Just as a friendly notice, if nothing is refurbished when JPRA for Hollywood goes down, that will be a bad sign, and it might lessen chances for a reno to even happen. If it happens at all, it will be a long time. Considering them being busy with other projects and much would need to be done to even semi-resemble what we seen in JW.